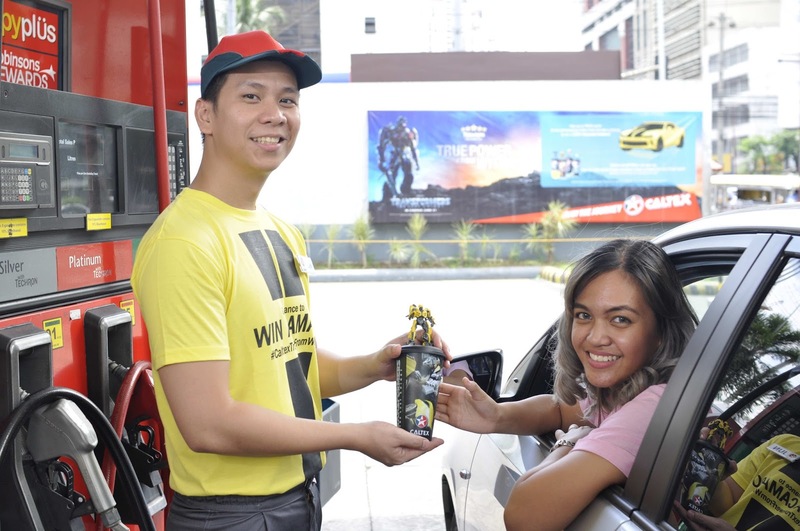 Transform your day: Transformers: The Last Knight invades Caltex stations with exciting freebies. One happy driver is pleased with her souvenir, a limited edition collectible tumbler, availed for only Php120 after gassing up with Caltex fuel worth Php500. Every Php500 transaction automatically entitles customers to a raffle entry, which gives them the chance to win a 2017 Chevrolet Camaro RS A/T and other exciting cash prizes. 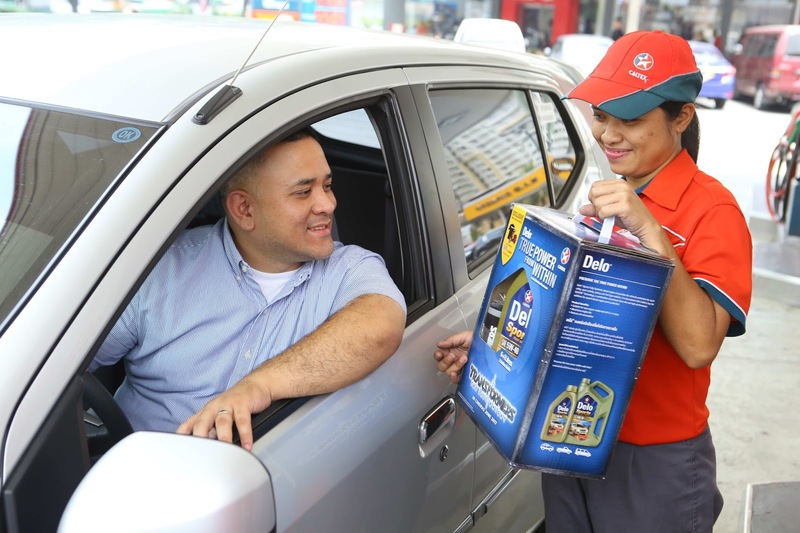 Caltex, marketed by Chevron Philippines Inc. (CPI), unveiled its “True Power from Within” nationwide promotion for Caltex customers. The promotion runs from May 1 until July 31, 2017 in conjunction with the release of the latest Michael Bay global blockbuster movie, Transformers: The Last Knight. From now until July 31, any purchase of Havoline, Delo or Techron Concentrate Plus promotional packs will also be rewarded with a Transformers: The Last Knight T-shirt, or microfibre towel. Purchases will also be entitled to a grand lucky draw, where one prime prize winner rides away with a Vespa scooter - a tribute to new Autobot character, Sqweeks. Other prizes include 5x Bose speakers, and 10 winners of Robinsons shopping vouchers (worth Php2400 each). Promotional packs are available while stocks last at selected shops and Caltex service stations nationwide. Driving into any Caltex service station from May 15 to July 31 with a minimum fuel purchase of Php500 (net discounts) will give customers the opportunity to win more prizes in two raffle draws. Prizes for the first draw on June 20 are 10 winners of Star Cash (worth Php10,000 each). Come August 14, the grand draw will give away 15 winners of Starcash (worth Php10,000 each), with one lucky motorist to drive home the grand prize – a 2017 Chevrolet Camaro RS A/T, complete with Php100,000 worth of Caltex Star Cash. “There’s always been more to Caltex products than meets the eye. Our range of engine oils and improved fuels is designed to shield engine parts from harmful deposits, protecting engine performance and your vehicle investment from within, giving you optimized driving performance and fuel economy with continued use. Our new movie tie-in makes every journey with Caltex a more rewarding one,” said Peter Morris, Chevron’s Country Chairman for Philippines. An instant souvenir of a Transformers: The Last Knight collectible tumbler will be available at Php120, with any fuel purchase of Php500 at Caltex come June 23. Each Php500 transaction automatically entitles customers to a raffle entry. Catch Transformers: The Last Knight in cinemas nationwide starting June 21, 2017. Please visit www.caltextruepower.com for more information on Caltex’s “True Power from Within” promotions. Fueled up for the day: A customer visibly pleased with his purchase of the new limited edition Transformers: The Last Knight Delo® promotional pack. Every purchase of the promo pack entitles customers to a raffle entry where they can get the chance to take home a brand new Vespa scooter!